Tired of travelling with thousands of other tourists, of the heat, of annoying visits and you want to try something new and original? Then prepare your Moon boots, gloves, harnesses and venture to Antarctica! You will discover the biggest desert of the world thanks to a cruise ship trip. Antarctica, a destination little explored, but welcoming more and more visitors every year. You will discover immense and breathtaking landscapes which will be burnt forever in your memory. Unexplored glaciers, huge icebergs and snowy mountains are going to take your breath away! You will have the opportunity to observe extraordinary panoramas which only few people on the earth were lucky enough to see. 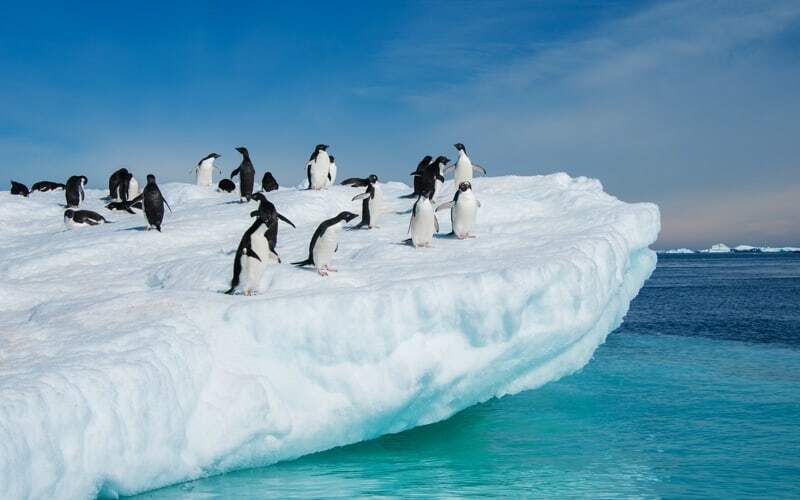 Furthermore, let’s meet Antarctic animals such as birds, leopard seals, whales and penguins. These animals have never been in contact with people for thousands years before, so they are curious to know the human race, and this is the reason why they are easy to approach. However, despite of the common opinion, there is no polar bear in Antarctica. But don’t be disappointed, because the auks are as fascinating to admire as bears. During your cruise you you will have a lot of things to do: many outdoor activities will be proposed, including excursions by feet by Zodiac boat with professional guides. There is a possibility of skiing, climbing, kayaking, doing snowshoes, polar diving… You can be sure that you won’t get bored! One of the activities not miss is camping: sleeping one night with a small group under the stars. Even if the night is short in Antarctica and days last around 20 hours, it will be a unique and magical moment not to be missed on the spot! Is it dangerous to make this journey? Indeed, Antarctica is a hostile continent: it’s a place on the earth considered to be the coldest one (between -90 and 13 degrees Celsius according to the seasons), it is also the windiest continent, where gusts of wind can reach 320kph. Moreover, it is the driest continent of the world , as it hasn’t rained there since millions of years! Taking into account all these facts, you can realize the level of dangerousness. However, Antarctica is a destination where scientists and tourists venture regularly, safely discovering and exploring this place. There is also a completely civilized and well-equipped Chilean village - a prove that it is not impossible to live on the seventh continent. In addition, the team which will surround you during your jorney is really qualified and experienced one, so you will just have to follow their advices in order to spend a safe and pleasant stay. 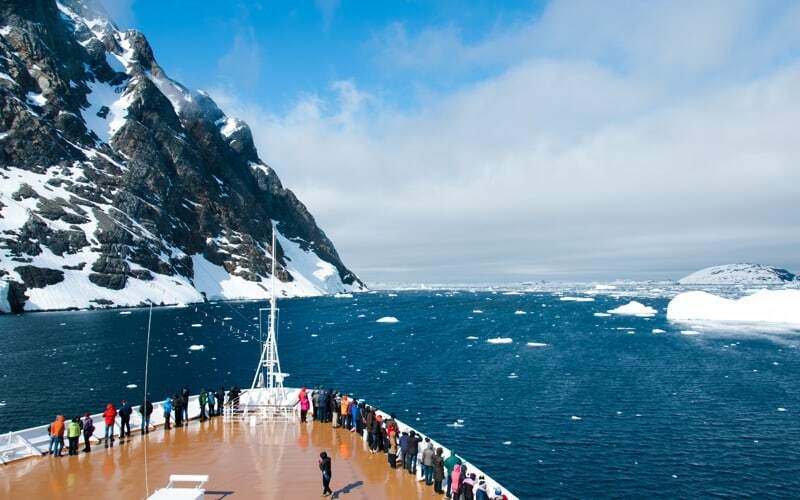 The main way to get to Antarctica is to board a cruise ship from Patagonia, Chile, Argentina, Uruguay, Ushuaia or Oceania. Thus, it’s up to you to choose and to book the place to begin the adventure. The period of cruising begins on November and lasts til the end of March. Why? At first, because it is the time of southern summer - a period when there is the hottest temperature (between -5 and 13 degrees Celsius). Besides that, November is the month when the ice breaks, what makes icy landscapes even more fascinating and picturesque. What is useful information to know before you plan your trip? Obviously, Antarctica is a continent which requires a certain budget. However, this jorney may be affordable to everyone, because the price varies depending on several factors, such as type of the room on number of extra activities that you will choose. In general, for an all-included journey in Antarctica you will need to spend between 5 000€ and 50 000€ per person. So, we are on approximately 10 000€ per person for 10 days trip. 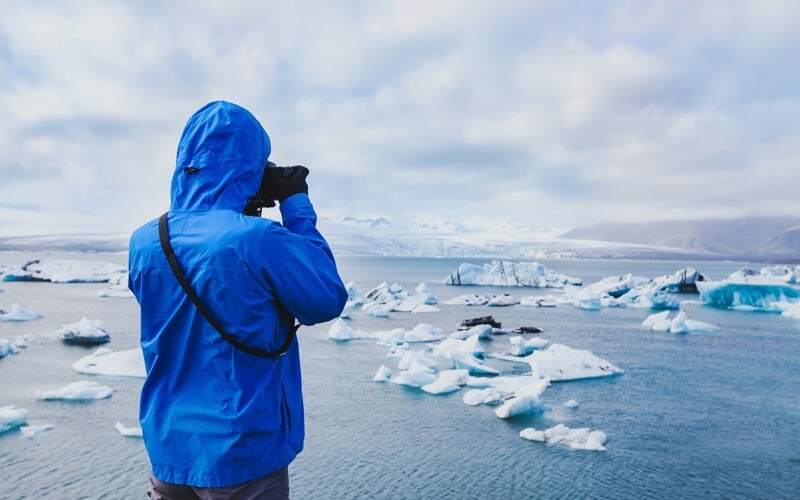 By the way, in Antarctica the internet connection is provided by satellites, so using your smartphone for sharing pictures in social media directly from the boat may be very expensive. In such a way, we advise you to disconnect completely from the digital world and enjoy your unforgetteble journey as much as possible! If you choose to go in Antarctica, be sure that it will be one of the most extraordinary and unforgettable jorney in your life! Thousands of people in the world dream about seeing this place, but only some of them had an opportunity to set a foot there. So, if you have such a chance, do not hesitate and book your cruise as quickly as possible. And have a good adventure!